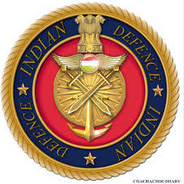 Indian Army invites online applications from eligible male candidates for the Technical Graduate Course (TGC-123) July 2016 for Grant of Permanent Commission in all Arms/Services. Educational Qualification : Candidates should have passed Engineering Degree (BE/B.Tech) in relevant streams or be in the final year of relevant Engineering Degree course. Age Limit : 20 years to 27 years as on 01.07.2016 i.e. candidate should not be born before 02 July 1989 and not after 01 July 1996 (both days inclusive). Selection Process : Candidates will be shortlisted on the basis of cut off % as fixed by Integrated HQ of MoD (Army) for each Engineering stream. Thereafter shortlisted candidates will be interviewed at Selection Centres, Allahabad (UP), Bhopal (MP) and Bangalore (Karnataka) from Jan 2016 onwards. How to Apply : Eligible and desirous candidates may submit their application for Army TGC-123 Jul 2016 Online through website www.joinindianarmy.nic.in from 28.09.2015 to 27.10.2015. After successful submission of online application, candidates are required to take two copies of the system generated application and the Roll Number. One copy of the print out application is needed for the SSB interview and the second copy for record/reference. The printout of the application form is not required to send to DG Recruiting. Call letter or Admit Card for SSB interview will be issued through candidate’s registered e-mail id and through SMS. Candidates are advised to go through the official advertisement by downloading from the link below.